I admire Robert Mueller's delaying tactics for releasing the holy grail until it's finished. It's not been easy. The Washington Post recently filed to unseal the redacted court record's in Mueller's case against Paul Manafort hoping to discover what further charges may be filed in the future. Mueller's team was supposed to respond to that request tomorrow, but got the Post's lawyers to agree to April 1st instead, by teasing them with a mysterious note that his team was still working on a big project that will soon be over. 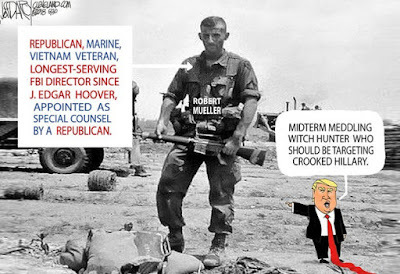 Lawyers and pundits have been predicting the release of Mueller's report for well over a year now. But here we are. Still no report. And the drama is increasing hourly. It sounds like Mueller is stringing the Post along and when he does release the redacted information on the Manafort case it's going to be an April Fool's joke, because it won't reveal anything about the heart of the ongoing investigation. 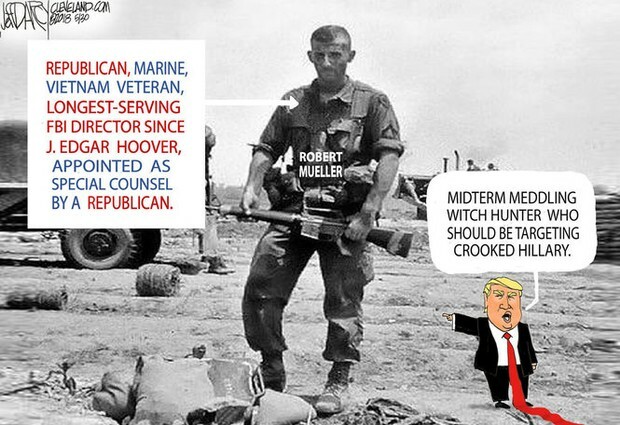 I think it's safe to say Mueller's report will be coming out any day, week, or month now. Stay tuned.